In May 2018, the Federal Government announced its commitment to the Cabramatta Loop and Botany Rail Duplication Projects. Transporting freight by rail to Port Botany is a key priority in order to both support the economic growth of Sydney and to minimise heavy freight use on Sydney’s roads. The construction of additional railway infrastructure between Cabramatta and Warwick Farm stations will enable greater efficiencies in the rail freight system, help meet future freight demand and support the NSW Government’s targets to increase the use of rail transportation. Construction of new track approximately 1.3km long. This new track will enable carriages to simultaneously pass each other through the ‘loop track’ from both directions. This track will run parallel to and form part of the Southern Sydney Freight Line. Two new rail bridges will be constructed over Sussex Street and Cabramatta Creek/Railway Parade. The road alignment and parking configuration of Broomfield Street in Cabramatta will need to be adjusted to accommodate the new loop track. The Cabramatta Loop Project is a State significant infrastructure project and is therefore subject to State Government planning approval. The Cabramatta Loop Project is a key ARTC initiative to support the Sydney Metropolitan Freight Strategy 2015-2024 and NSW Freight and Ports Plan 2018-2023. Together, with the Botany Rail Duplication Project, the Cabramatta Loop will provide the capacity to meet future growth in the transportation of containerised freight between Port Botany and metropolitan freight intermodal terminals. Along with the Commonwealth Government, we commenced the Port Botany Rail Line Upgrade Program in 2009 to respond to the economic priority of transporting freight by rail. In 2015, the Department of Infrastructure and Regional Development made the recommendation to develop a rail loop (approximately 1.3km long) aligned with the existing rail corridor between Cabramatta and Warrick Farm stations. This section of rail is part of the broader Southern Sydney Freight Line, which is critical infrastructure that requires improvements in order to respond to the increasing demand for rail freight transportation. Funding to proceed with the ‘Cabramatta Loop Project’ has been allocated and this State significant infrastructure project is now at the stage of preparing an Environmental Impact Statement. 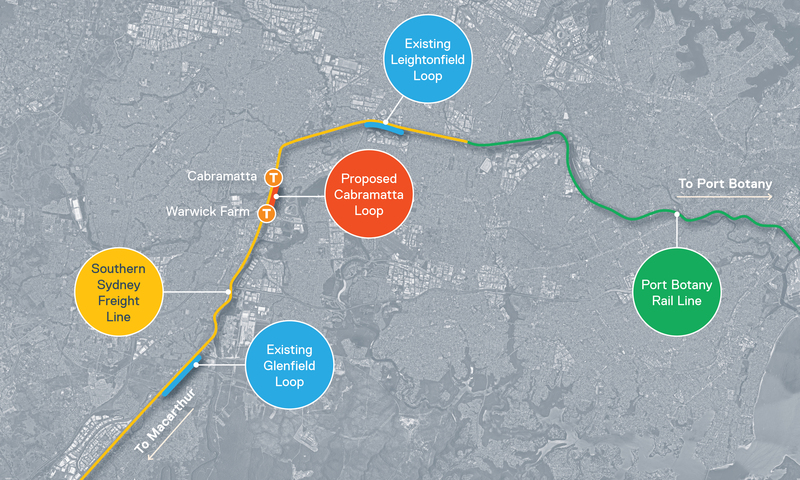 We are committed to working closely with stakeholders as the Cabramatta Loop Project progresses. We’re in the early planning stages and have submitted a State Significant Infrastructure Application for the Project. Early consultation has occurred with key stakeholders and the community and will continue throughout the planning process, for consideration. We welcome feedback throughout the process and encourage you to submit your comments and enquiries via our Enviroline by emailing enviroline@artc.com.au or calling 1300 550 402. Community information session(s) during the exhibition period, depending on the level of interest (dates to be advised). 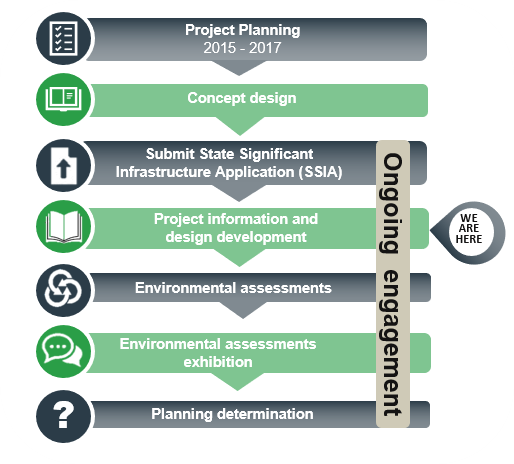 Stakeholder and community input may inform the project design and management of environmental issues. Click here to download the Engagement Plan for this stage of the project. There is an upcoming Community Information Session on 13th March. For details click here. We want to know your thoughts and welcome any questions you may have. We will endeavour to provide a specific answer where information is known. Our aim is to respond to all queries within two working days, if your query takes no longer we will contact you to discuss an indicative response timeframe. Our contact details are provided below, or you can complete this online form.